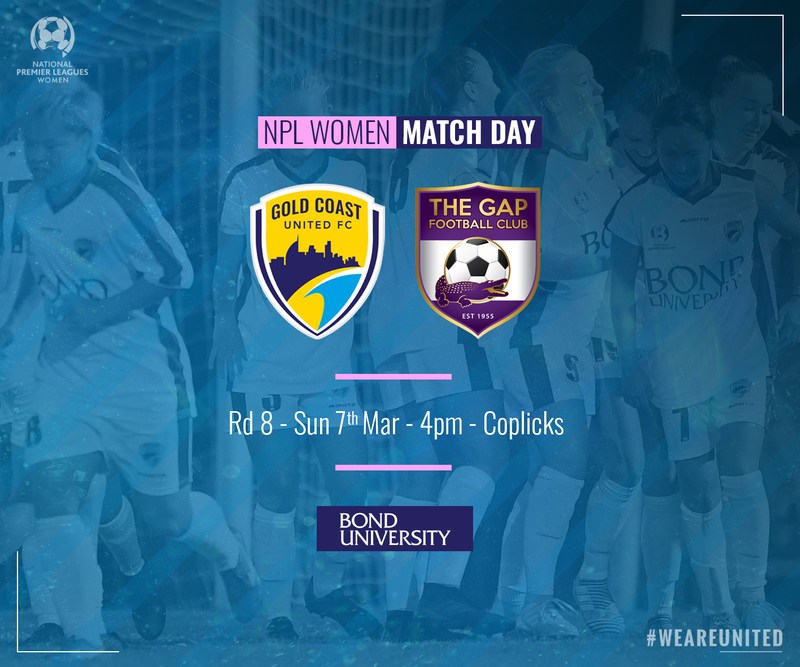 After a return to form against SWQ Thunder last start, United Women are back at Coplicks today taking on last year’s premiers, The Gap. Today’s match is set up to be an intriguing contest with United coming off a big win last weekend and the opposition coming off a rare defeat for them. The game, on paper, appears likely to be an even affair. “With the Gap you can always expect a well organised footballing team, with great physicality. Our preparations are focusing on being able to both match that physicality and to capitalize on our own brand of football through quick movement of the ball. Jayde Lowe epitomizes team player. A selfless attacker with the ability to pick a pass, score a ‘worldie’ and work hard defensively box to box for the team. Technically gifted, Jayde combines great game awareness with a big motor to impose herself in both attack and defence on any opposition. United will need another tireless contribution from Lowe this Sunday if they’re to get among the visitors as Capalaba did in Rd7 to upset the 2018 premiers. The benchmark in recent seasons but stuttering early in 2019 after the off-season departure of long term coach Rob Askew to Lions. Askew’s replacement, Gary Ward, managed to retain the majority of the 2018 premiership squad with captain Ruth Blackburn again central to their prospects. A side stacked with talent from front to back, expect telling contributions from Greta Bodey in attack and the Freier’s, Sharn and Laini who joined the Walton Bridge Reserve outfit from the Roar NTC side that defeated Sunday’s visitors in the 2018 grand final. Laini Freier currently tops the NPLW scoring charts with 8 goals in 6 outings so looms as one to watch. The Gap won both 2018 matches, a close contest in Rd 7 prevailing 4-3 at Walton Bridge and running riot in the reverse fixture winning 6-1 in Rd 21.